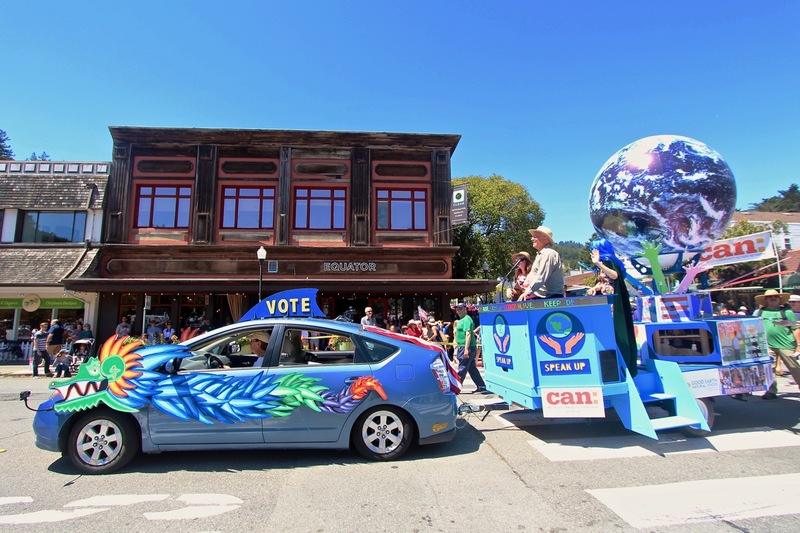 The Art Float for Social Change approaches the judges at the Mill Valley Memorial Day Parade, where we won the ‘Best Community Spirit Award’. Photo by Dana Dworin. The Art Float has inspired thousands of people to participate in community life, through its original display of art, music, and technology. 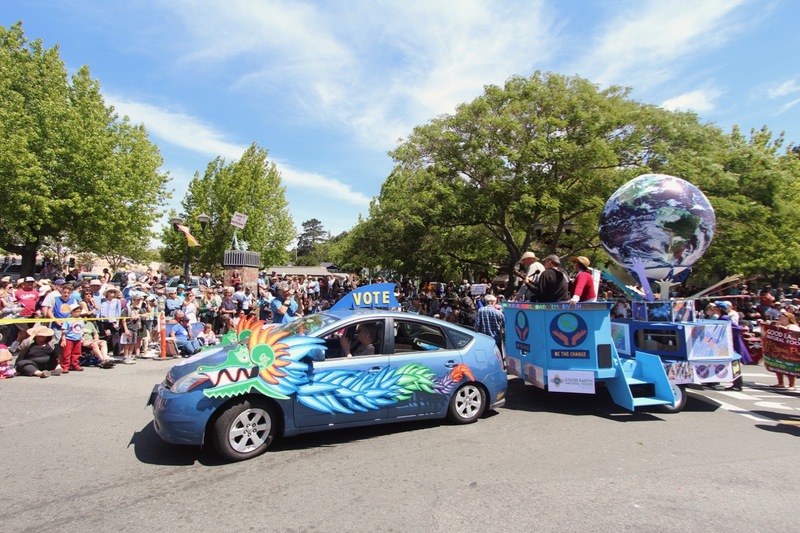 This year, we presented it at Earth Day, the Mill Valley Memorial Day Parade (where we won the ‘Best Community Spirit Award’), the Fairfax Parade and the Fourth of July Parade in Corte Madera (where we won First Prize for Adult Motorized Floats). We hope to bring our traveling art show to other events in coming months. 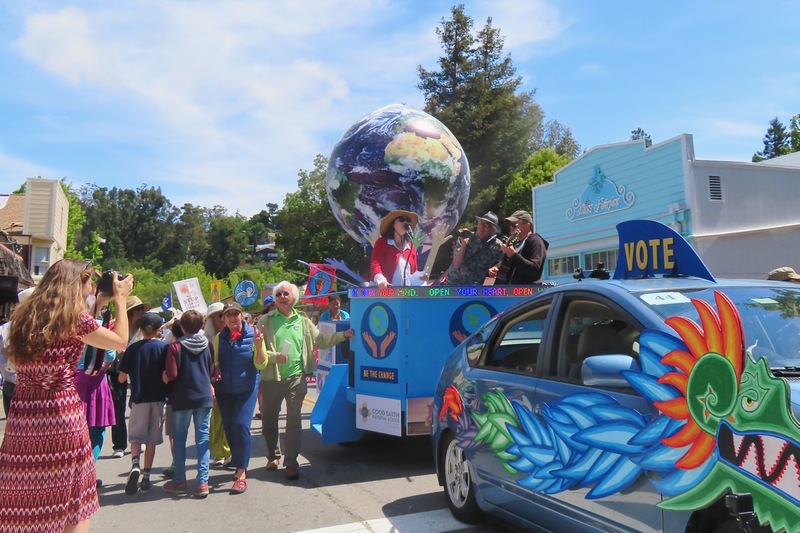 As shown in this video, our Art Float delighted thousands of spectators at the Mill Valley Memorial Day Parade, with performances by Emma Spike and the Freedom Singers. Video by Luis Costa, Fabrice Florin and Marin Weatherspoon. 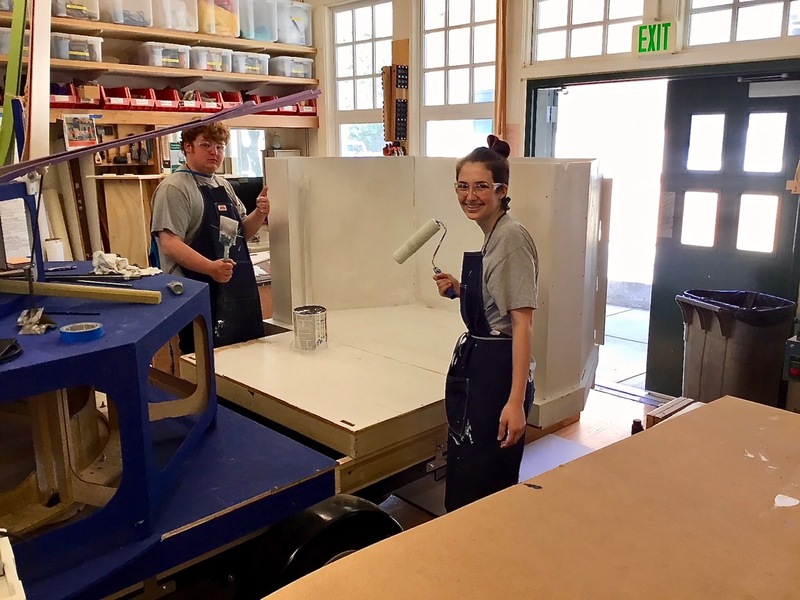 Over a hundred volunteers of all ages built the Art Float at Tam Makers, our makerspace in Mill Valley, with the support of Good Earth Natural Foods, the Mill Valley Community Action Network (MVCAN) and Tamalpais High School. 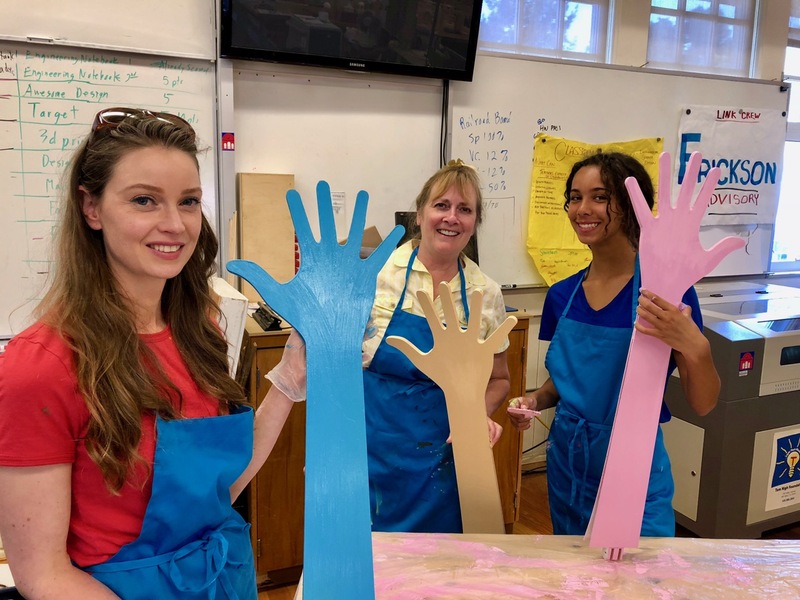 This community art project was led by artists Fabrice Florin and Geo Monley, along with our creative partners at Tam Makers, Pataphysical Studios and the Youth Poster Contest — and live performances by the Freedom Singers, Emma Spike and Cooper & Bounds, to name but a few. 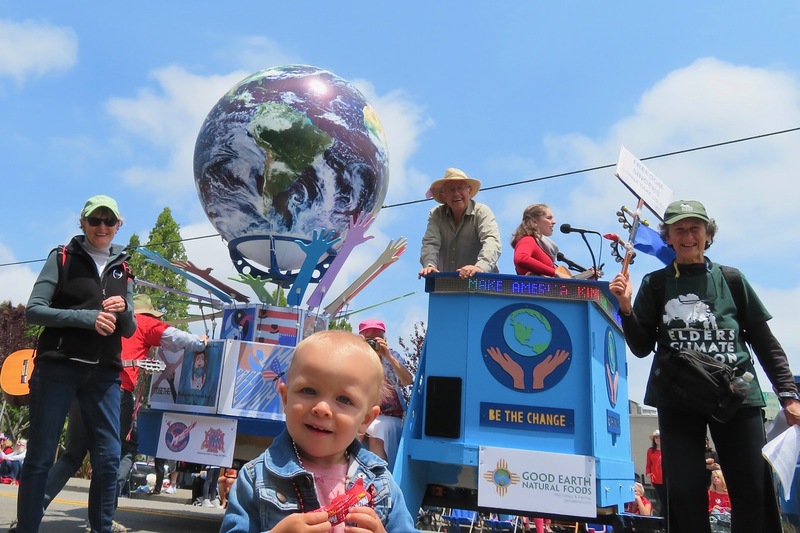 The Art Float for Social Change performs in front of the judges at the Fairfax Parade. Photo by Dana Dworin. To see the float in action, visit our Art Float Photos and Video page, with our favorite images from each event and development phase. For more photo coverage, visit our full albums for Fourth of July, the Fairfax Parade, Memorial Day, Earth Day and Art Float Creation. 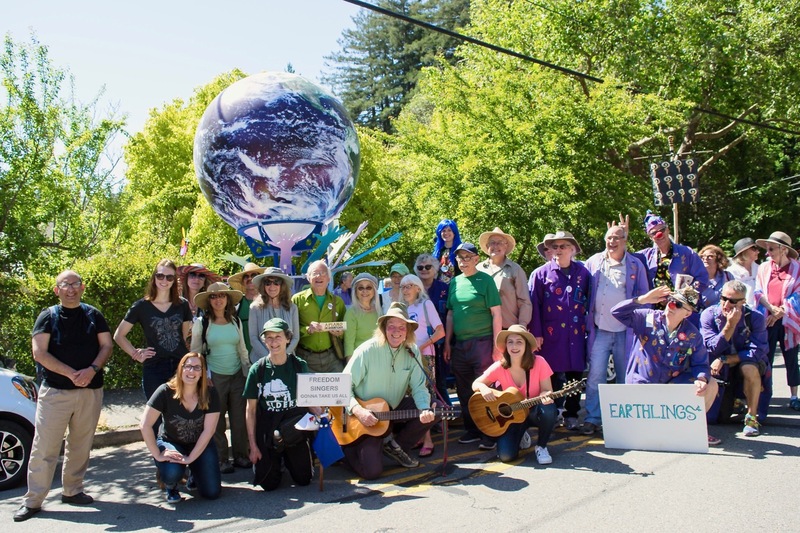 A group picture of the Art Float cast, crew and supporters at the Mill Valley Memorial Day Parade. Photo by Suz Lipman. Thanks to all our friends, neighbors, partners and community members who made this project possible! 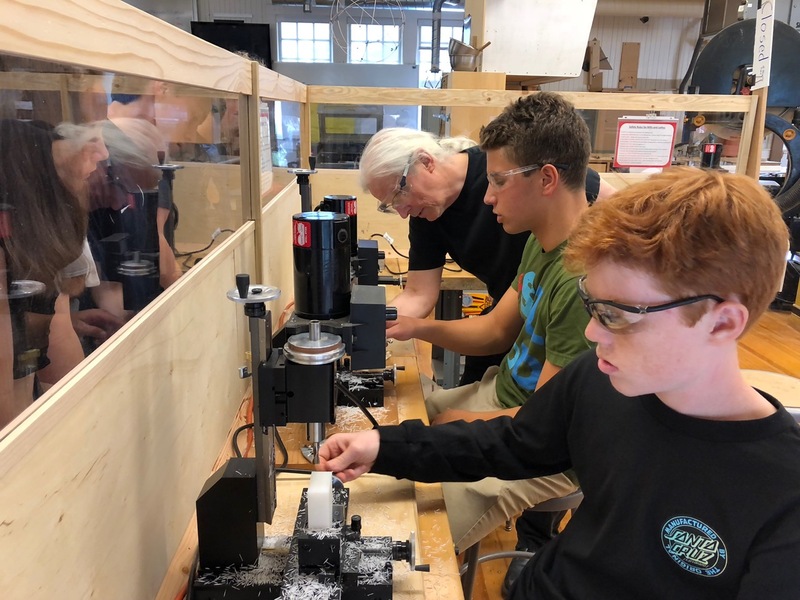 Kudos to our float construction crew, led by David Barr, Pierina Dell’Avo, Chris Krueger, James Long, Chris Scofield, Pam and Stan Weatherspoon, to name but a few — they all worked tirelessly, above and beyond the call of duty, to bring you this experience. 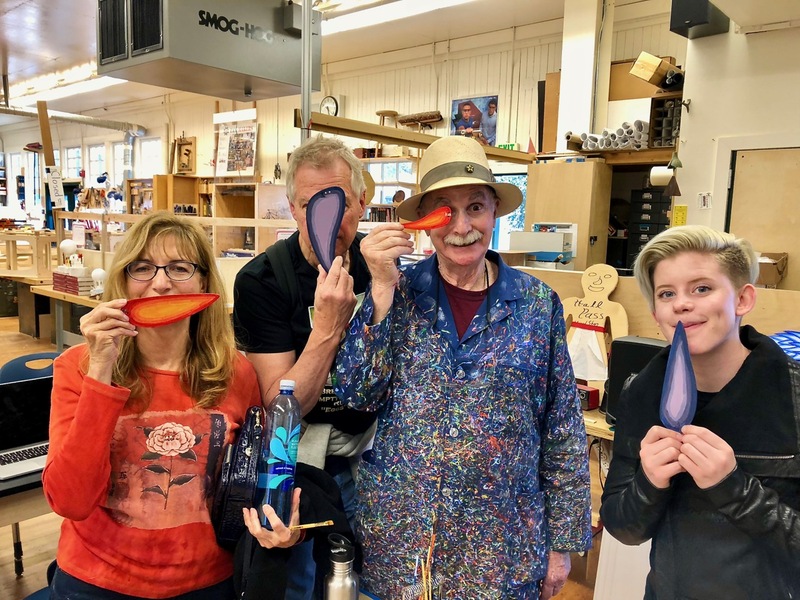 Tip of the hat as well to Howard Rheingold for creating the colorful Quetzy dragon, in collaboration with Fabrice Florin, Freddy Hahne, Jean Bolte, Phyllis Florin, Mark Petrakis and others at Pataphysical Studios. 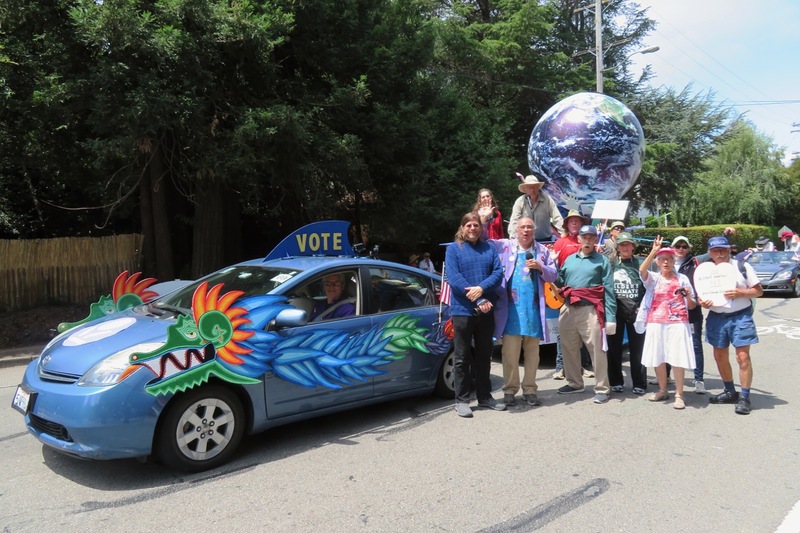 Our parade cast and crew on July Fourth in Corte Madera (where we won First Prize for Adult Motorized Floats): Gary Appell, Ruthanne Ranz Appell, Greg Brockbank, Dana Dworin, Wayne Lechner, Teresa Marquez, Geo Monley, Tim Pozar, Marilyn Price, Grace Severtson and Emma Spike. Photo by Dana Dworin. Many thanks to our talented performers Emma Spike, Sheri Cooper and Clancy Bounds, Reed Fromer, as well as Greg Brodbank, Wayne Lechner, Marilyn Price and all the Freedom Singers. We are also very grateful to our wonderful videographers Luis Costa, David Donnenfield, Bob Harlow, Tim Pozar, Kim Spencer and Marin Witherspoon, as well as our gracious photographers Dana Dworin, Vickisa Feinberg, Fabrice Florin, Suz Lipman, Howard Rheingold, Grace Severtson and Martha Ture. Special thanks as well to our partners Jessica Hurtado at Good Earth, Eileen Fisher at MVCAN and Bruce Burtch at the Youth Poster Contest. 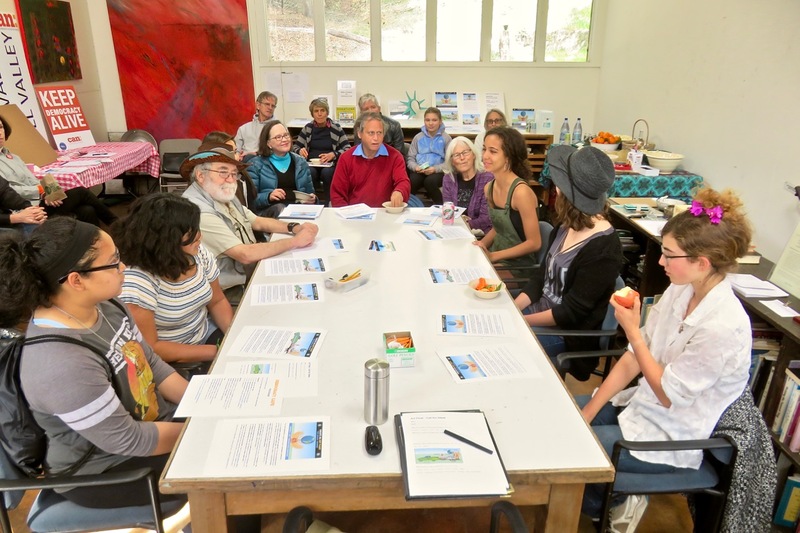 We are deeply grateful to our event team Carol Korenbrot and Marilyn Price — and to our ‘art float widows’ Phyllis Florin and Meryl Rubenstein — for keeping us organized, happy and well fed. Last but not least, we wish to thank all our gracious parade organizers: Larry ‘The Hat’ Lautzker, Paul Moe and Erma Murphy (Mill Valley Memorial Day Parade), Cynthia Briggs (Fairfax Festival), Judy and all the nice folks at the Corte Madera Fourth of July Parade for hosting these important community events, year after year. We really appreciate all your creativity, enthusiasm and generous support. 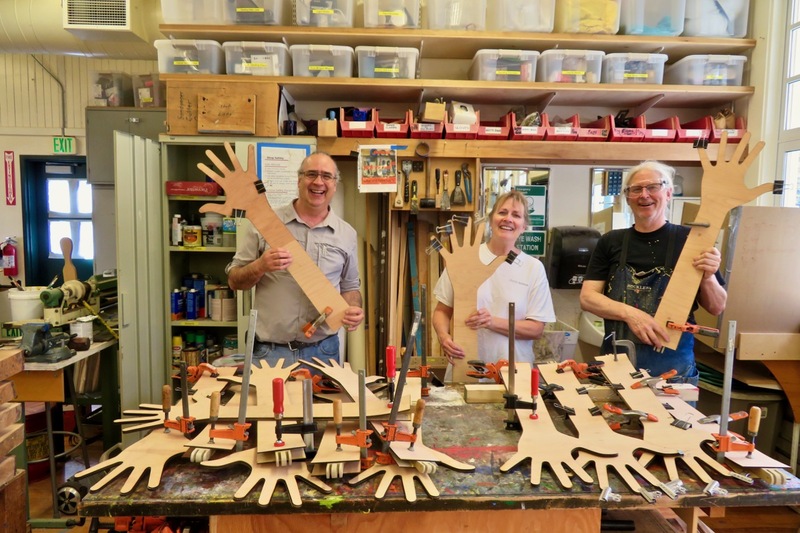 We hope this community art project will inspire even more people to participate in democracy. 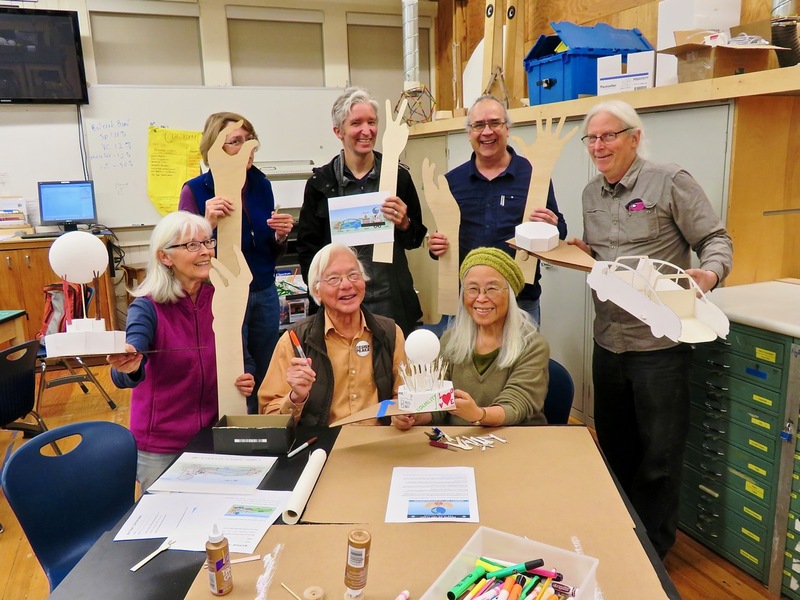 Learn more on our Art Float Photos and Videos page, planning page, slides and design spec, as well as in this Independent Journal article. For more info, email us at float@tammakers.org. 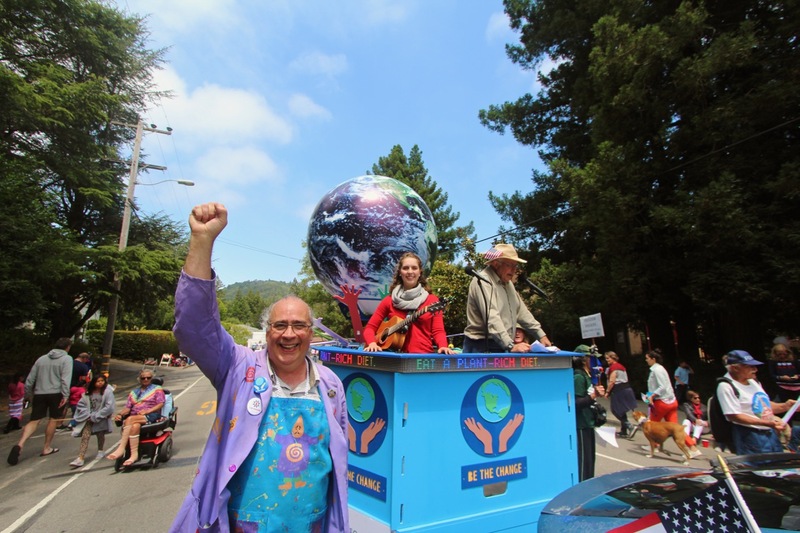 Here are our favorite photos of the Art Float at the Fourth of July Parade in Corte Madera (where we won First Prize for Adult Motorized Floats). 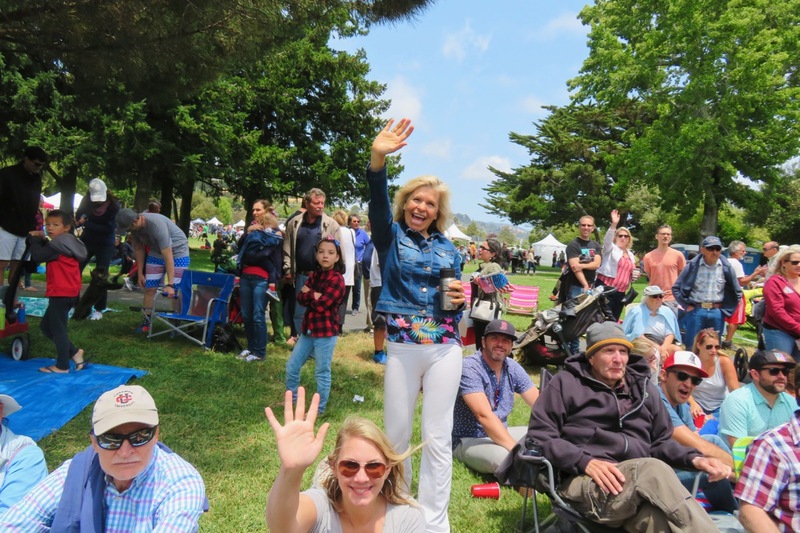 You can see more pictures in our Fourth of July photo album. 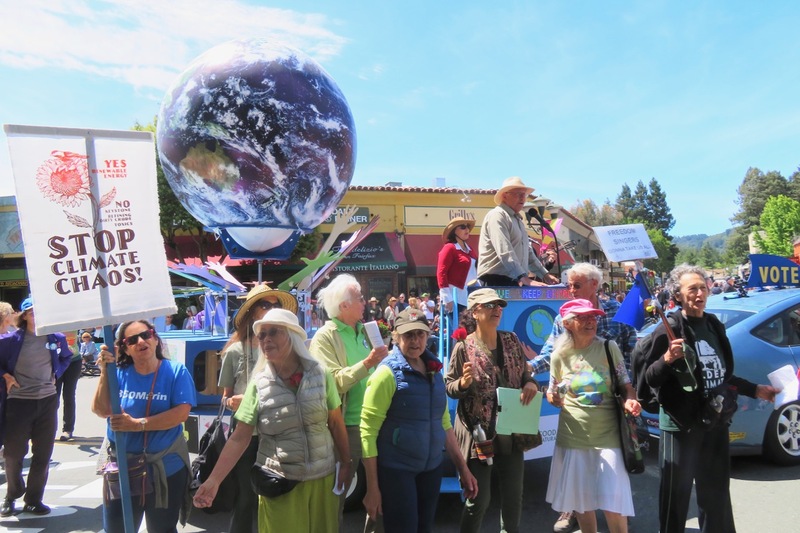 The parade started by the Lark Theater in downtown Larkspur. Photo by Fabrice Florin. 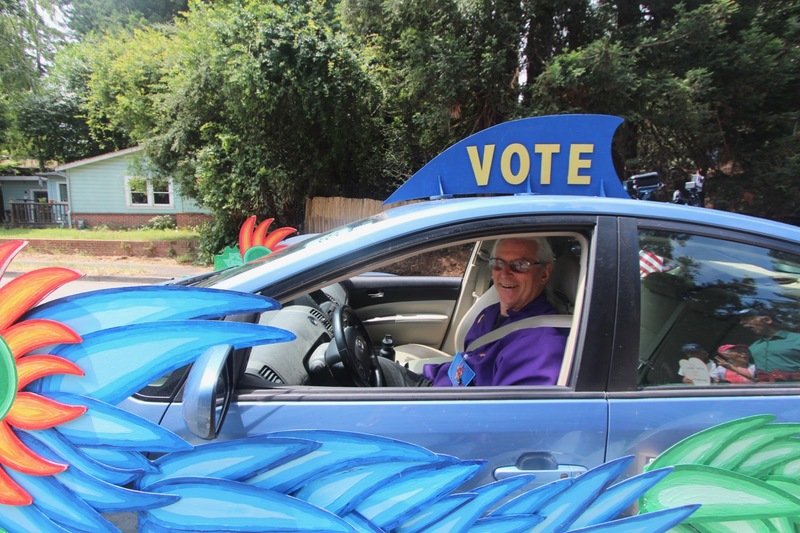 Art Float co-creator Fabrice Florin invited thousands of spectators to vote and “Be the Change.” Photo by Dana Dworin. Folks cheered us, sang along with us, and engaged in “call-and-responses” about social change, all along the 2.6 mile parade route. Photo by Fabrice Florin. This kid was particularly impressed by the Art Float and performed a wiggle dance for us. Photo by Fabrice Florin. 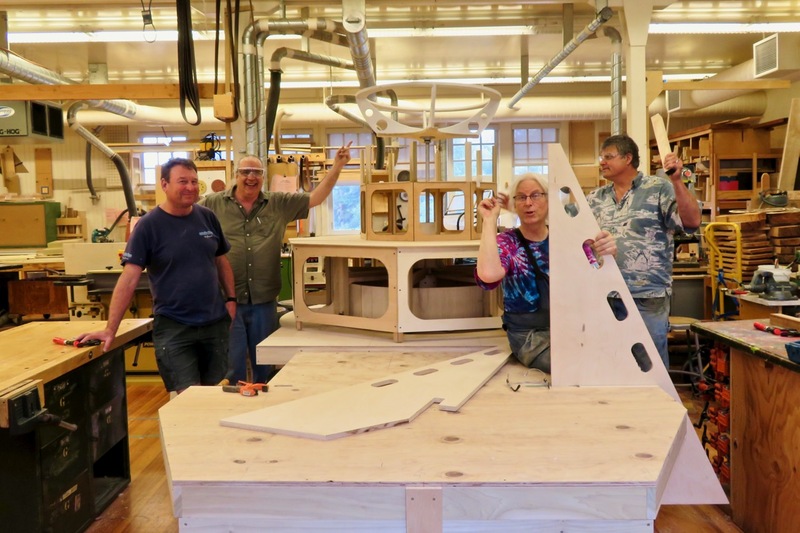 Art Float co-creator Geo Monley drove the dragon car and led our float construction team at Tam Makers. Photo by Dana Dworin. See more pictures in our Fourth of July photo album. 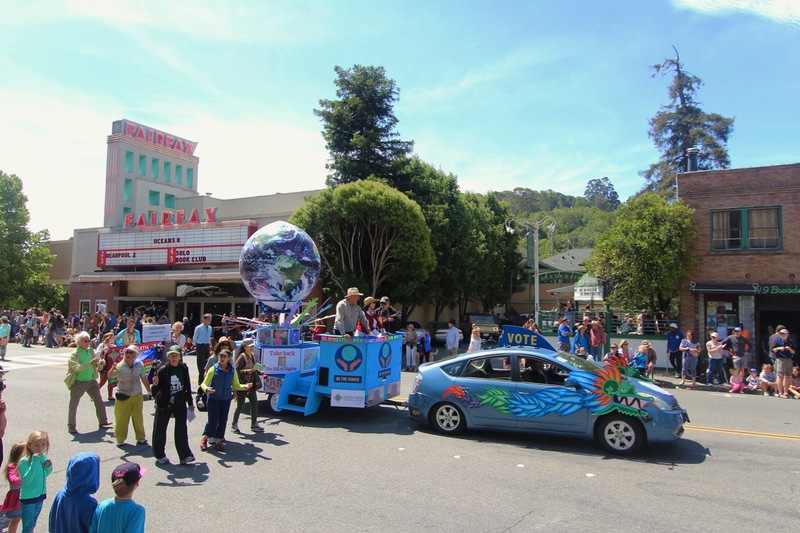 Here are some photos of our Art Float at the Fairfax Parade on June 9. You can see more pictures in our Fairfax Parade album. 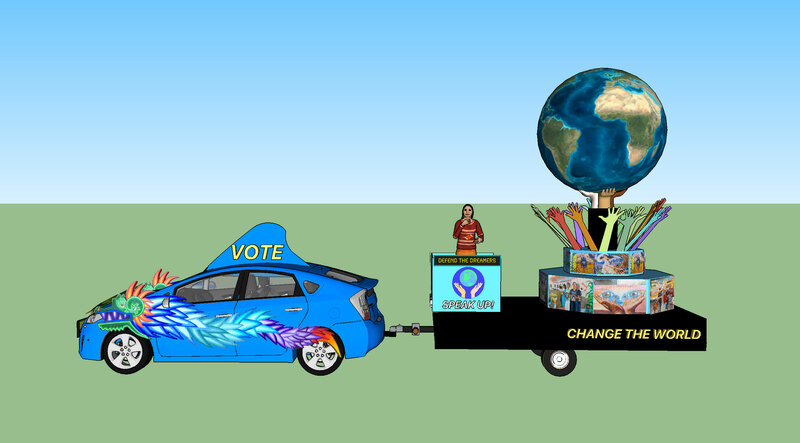 The Art Float for Social Change drives in front of the Fairfax Theater, with performers Sheri Cooper and Clancy Bounds, as well as Greg Brockbank and the Freedom Singers. Photo by Dana Dworin. The Freedom Singers invited the judges and audience to sing along ‘This Land is Your Land’. Photo by Fabrice Florin. Singers Sheri Cooper and Clancy Bounds perform songs for a better world on the Art Float, while Geo Monley waves at our enthusiastic audience. 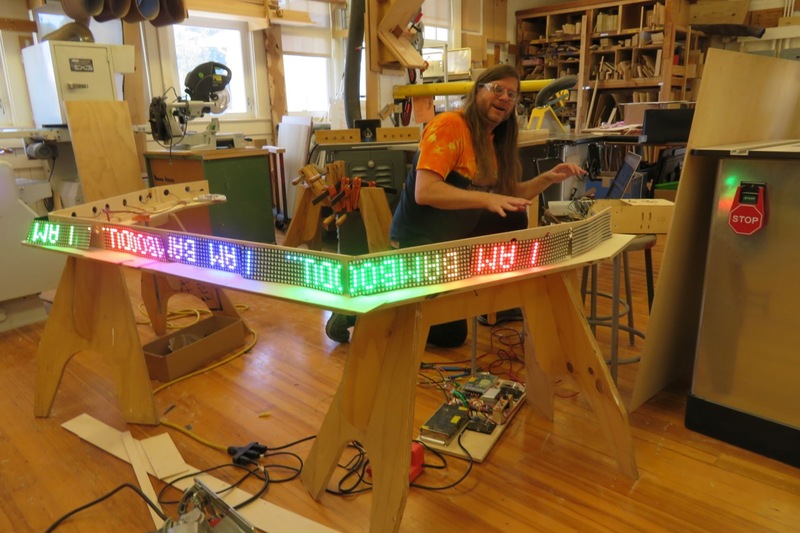 A news ticker displays ideas for social change, such as the reminder that “No Human is Illegal’. Photo by Fabrice Florin. Singers Sheri Cooper and Clancy Bounds perform songs for a better world on the Art Float, while audience members take photos and a news ticker displays ideas for social change, such as the reminder to “Open Your Heart, Open Your Mind’. Photo by Fabrice Florin. 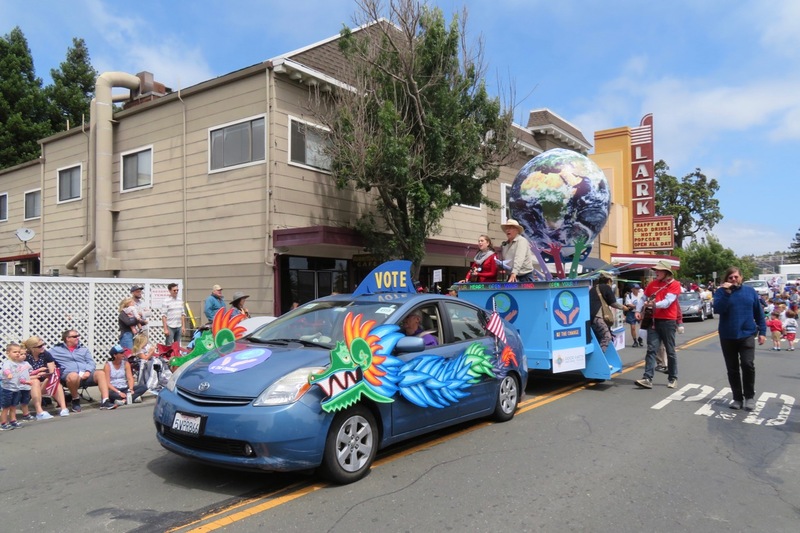 Here are some photos of the Art Float debut at the Mill Valley Memorial Day Parade. You can see more pictures in our Memorial Day photo album. 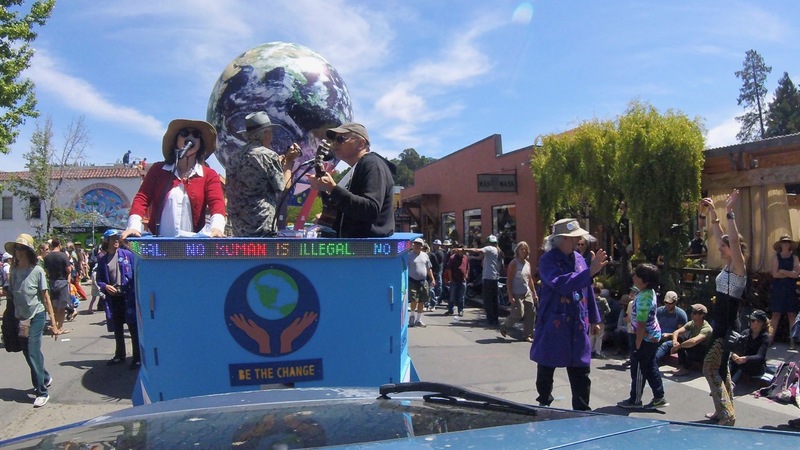 The Art Float for Social Change at the Mill Valley Memorial Day Parade, with a sing-along led by the Freedom Singers. Photo by Fabrice Florin. 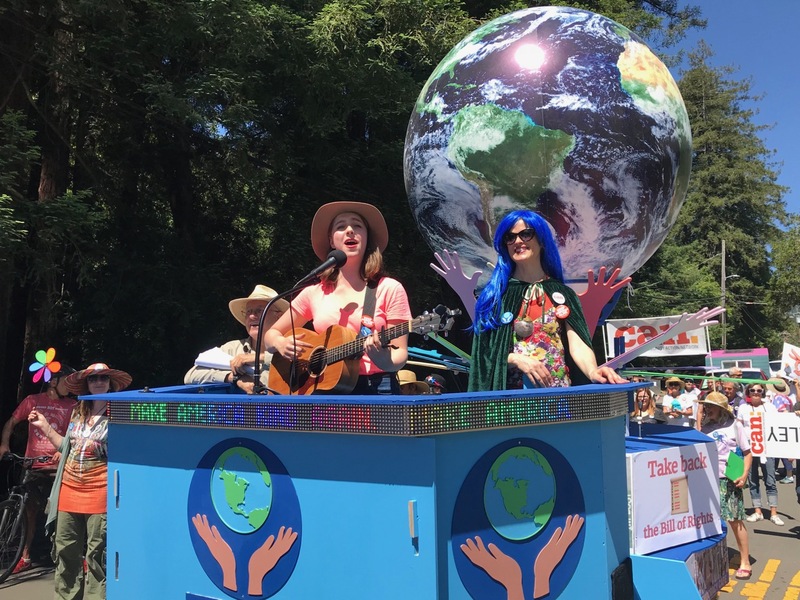 Young activist Emma Spoke sings on the Art Float for Social Change, with Eileen Fisher as Mother Earth and Greg Brockbank of the Freedom Singers. Photo by Fabrice Florin. 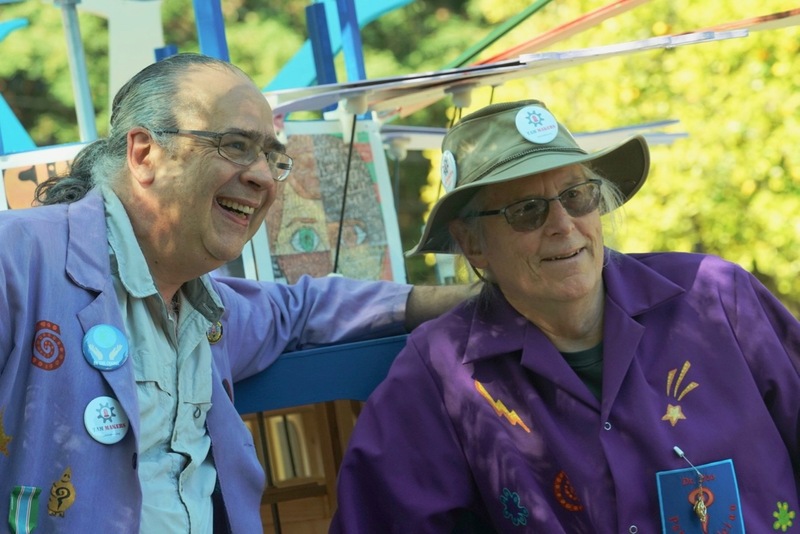 Art Float creators Fabrice Florin and Geo Monley at the Mill Valley Memorial Day Parade. Photo by Martha Ture. 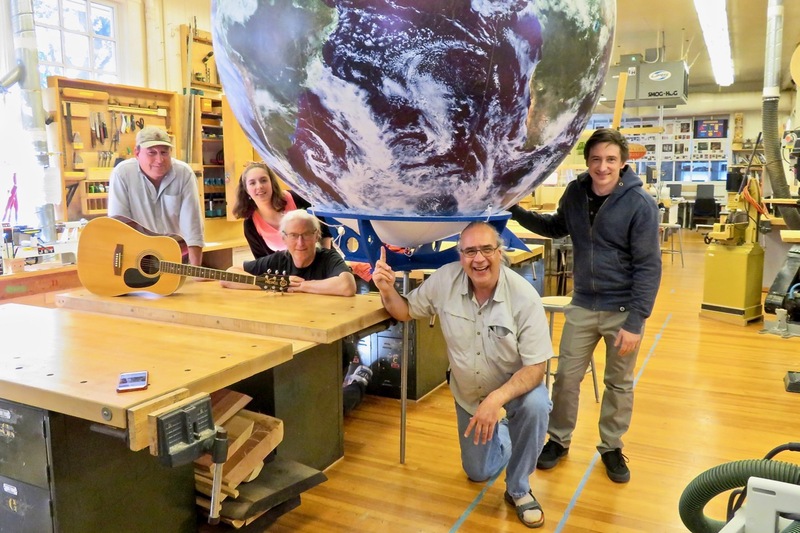 Here are photos of our first Art Float unveiling on Earth Day at Tam High. You can see more pictures in our photo album. Art Float creators Geo Monley show off their unique parade float, with a large globe spinning over a circle of hands and a carousel of art, while performer Kayla Campbell sings about youth in action. Photo by Tim Pozar. The Art Float features the colorful dragon Quetzy, created by Howard Rheingold and inspired by the Aztec god of wisdom, Quetzalcoatl. Photo by Martha Ture. Young artist Emma Spike sings her original composition, ‘Custodians’ to invite people to take action to protect the environment, standing on the Art Float’s podium on Earth Day. Photo by Jenny Tomkins. A young artist shows off her painting for the Art Float’s art carousel, which also features original creations by the winners of the Youth Poster Contest. Photo by Fabrice Florin. Here are some recent photos of the making of the Art Float. You can see more pictures in our photo album on Flickr. 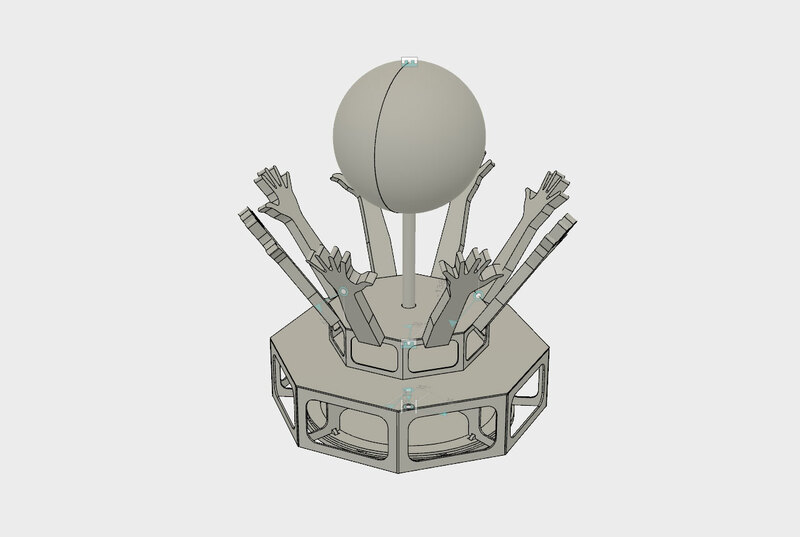 Here are our final designs, which we used to visualize what were creating together, and guide our construction phase. 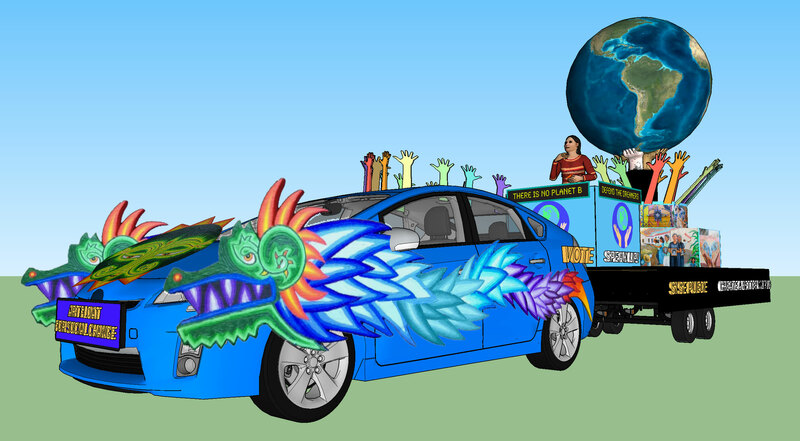 Our art float celebrates mother earth with a carousel of waving hands, pulled by a giant feathered serpent. Performers will tell stories of hope on a stage decorated with scenes of a better world. Large signs will invite people to speak up and vote! You can pitch ideas for social change on the podium, or on the news ticker. See our slides for more designs.